Solinst leveloggers were installed in 10 wells with a sampling rate of 15 minutes. A Solinst barologger was also introduced in a well located at the center of the monitored area in order to correct all levelogger readings for atmospheric pressure changes. In addition, a rain tipping bucket manufactured by Texas Electronics was installed in an area without interferences from vegetation or man-made structures. 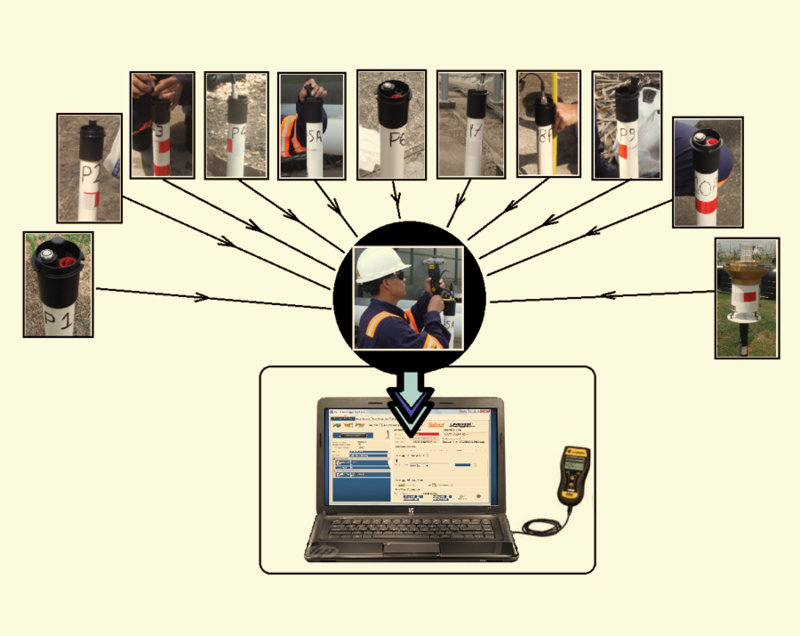 A Solinst rainlogger was used to record the tips. A Solinst leveloader was used conveniently to download the data from the loggers in the field, and to save the collected data into a dedicated laptop at the field office. The data was processed to be converted to time series of water table levels and rainfall depth. Tropical storms at the site may exceed the rainfall depth of 20 mm/hour, which correspond to the tipping bucket calibration condition of one tip every 18 seconds. However, verification tests conducted by LAGO revealed that the rain gauge may underestimate the rainfall amount from heavy storm events if the manufacturer’s constant of 0.1 mm per tip is used. Thus, an equation to correct the apparent tip volume was determined for rainfall intensities higher than 20 mm/hour, and it was applied to the tip sequence registered by the rainlogger in order to better estimate high rainfall intensities. The water table and rainfall measurements from the monitoring network were used to verify a MODFLOW model developed for the area. The ultimate goal was to study relations among hydrological variables and the risk of landslides in the project site.